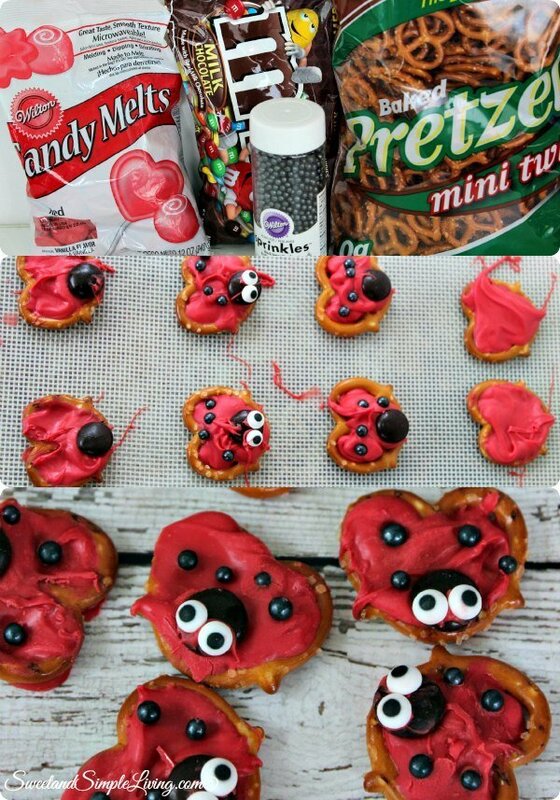 Easy Pretzel Lady Bugs Recipe! Just 5 Ingredients! 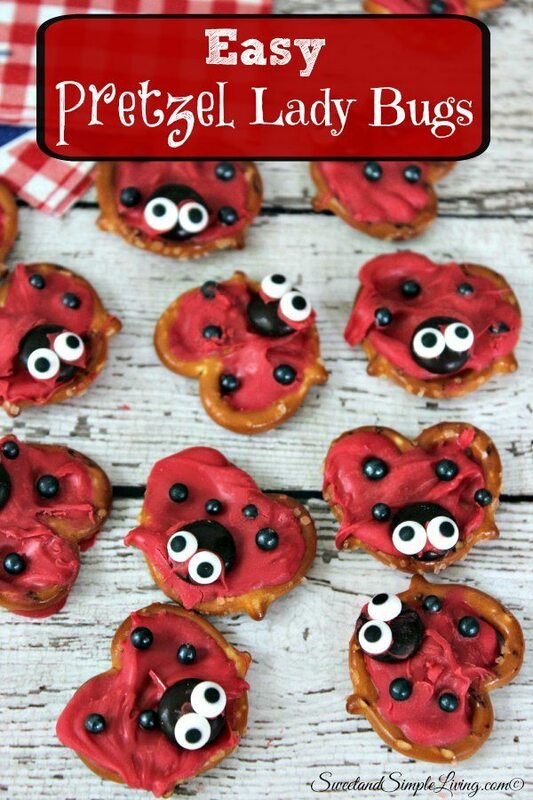 Check out our super cute and Easy Pretzel Lady Bugs! I don’t know about you, but we can not wait for Spring to get here! Our weather here in Texas has been crazy and I think we’ve all had enough of it. 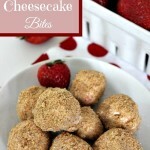 We are ready for warmer days, planting a garden, going to the lake and fun, cute snacks like these. You can make these up in literally minutes and it only takes five little ingredients! 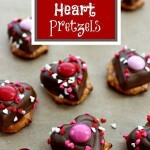 Mixing pretzels and chocolate is probably one of my favorite combinations. It satisfies my sweet and salty cravings all in one. Lay the mini pretzels out on a wax paper lined cookie sheet. Transfer the melted chocolate to the corner of a zippered bag and clip a tiny piece off of the corner to pipe. Pipe the candy over the inside of the pretzel to fill it completely. Smooth with finger if necessary. Place an M&M for the head on the rounded end of the pretzel. Place 4 pearls for spots. 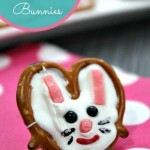 Use a small dot of melted chocolate as "glue" to attach eyes to head. Place the cookie sheet in the refrigerator for 20 minutes to allow candy to set. Don’t you love these Easy Pretzel Lady Bugs?? 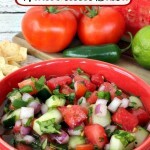 I can’t wait to make these for our first barbecue of the year. 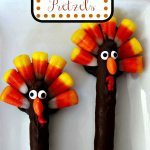 The kids just eat these up too! 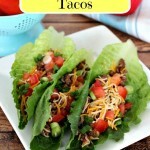 We’ll be bringing you a lot more spring and summer recipes so be sure to visit us often. In the mean time, you can browse through all of our recipes HERE! 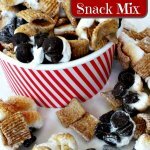 Looking for more fun and easy snacks? Check out this cookbook! 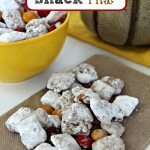 There are more than 70 recipes and they’re kid friendly! How cute. I only have the straight kind on hand but the Grand Daughter is coming this weekend so we may make a little trip to the grocery to get the supplies. Yeah. What fun. She’ll love it.